The place in the south of France that is known for its many days of sun per year (300) and its amazing Mediterranean climate. The French Riviera attracts millions of tourists each year who want to enjoy the French culture, the beautiful Mediterranean scenery, enjoy a sun- and beach vacation, as well as people who go there on business trips on one of the many events that take place on the French Riviera over the year. But the truth is, the French Riviera hasn’t always been as you know it today. In fact, the history of the French Riviera is what has shaped it into becoming the amazing hideout that you know it as today. 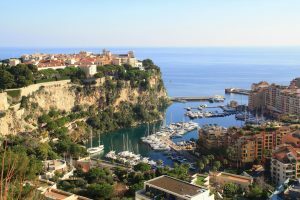 In this article, we’re digging deep into the history of the French Riviera, to understand what it is that has made the French Riviera into the place that so many people love so much. There’s a reason it is said that once you go here, you will want to return and part of it is the history that has shaped the French Riviera. If you think about the French Riviera in the summer, you think about magnificent weather and crowded beaches. But you’ll be amazed to hear that until the 1920s there were no summer tourists there, nor were there many hotels. The French Riviera, also known as the Côte d’Azur, pronounced [kot daˈzyʁ] in French, is translated to “Coast of Azure”. It is the part of the southern France which stretches along the Mediterranean and creates the contrasting coastline along the clear blue waters. The French Riviera also includes the state of Monaco, while technically, it isn’t French, and that’s just because it is surrounded by French land, and it has the “French Riviera” on both sides of itself. The French Riviera has no official boundaries because it is used to describe the area in the southern France that stretches along the Mediterranean, however, the French Riviera is considered to begin at the France-Italy border, close to the Italian town of Ventimiglia (Ventimille), going all the way to Saint-Tropez. The French Riviera is situated in the so-called Provence-Alpes-Côte d’Azur region. The last French town on the French Riviera, before the Italian border, is The Old Town district of Menton. The British upper class was using the French Riviera as resort getaway to rest up during the winter at the end of the 18th century. As the railway was laid in the mid-19th century, which is located at the same place today, stretching from west to east along the Riviera, the travel times significantly decreased, and more importantly, a railway was also laid from Paris to the French Riviera, which shortened travel times with more than 20 hours. All of this lead to the French Riviera became a playground and a go-to vacation place for mainly the wealthy British, Russian, and other aristocrats. The history of the French Riviera stretches much further than you might think. In fact, the history of the Côte d’Azur has been inhabited since prehistoric times, and various primitive tools have been found in the grounds of the Riviera, which dates to between 1 million and 1.050 million years. Parts of these findings have been discovered in the Grotte du Vallonnet, near Roquebrune-Cap-Marti, where archeologists found objects like stones and bones from animals. Moreover, a fireplace has also been found at Terra Amata, near the Nice Port, which dates back to 80,000 to 230,000 BC, making it the oldest that has ever been found in Europe. It’s not so hard to guess the origin of the name ”French Riviera”, that describes the area along the Mediterranean in south France. Riviera actually means “coastline” in Italian. In English use, the area is normally referred to as the French Riviera, built by analogy with the term Italian Riviera. The history of the name French Riviera stretches back to the 19th century. But what about the name Côte d’Azur? The name Côte d’Azur was actually given to the French Riviera by the writer Stéphen Liégeard in his book, La Côte d’Azur, which he published in December 1887. He called the French Riviera Côte d’Azur because of the azure blue color of the Mediterranean, and for the gold of Côte-d’Or. As you now know, the French Riviera has been inhabited since prehistoric times, which archeologists have found proof of, such as cave paintings of horses and bison, which has been found in caves in the south of France. In fact, the French civilization started in the South of France, which isn’t very strange, considering the pleasant climate, seas full of fish, and the many fruit trees that grow there, making the area a perfect place to settle on. Moreover, monuments can be found on the French Riviera that dates back to the Bronze Age. A place where you can find these monuments is near Draguignan. In the Vallée des Merveilles, located close to Mount Bégo an outdoor religious sanctuary, is believed to have been located. Moreover, it also has over 40,000 drawings of people and animals, dated to about 2000 BC. The Romans and the Greek have actively been on the French Riviera due to the relatively easy access by boat on the Mediterranean. In the beginning of the 7th century BC, Greek sailors from Asia Minor began coming to the French Riviera and building trading posts. The settlements lead to trading with the French citizens, but this, in turn, resulted in the Greek becoming rivals of the Etruscans and Phoenicians, groups who were also visiting the Côte d’Azur. The standard of living on the French Riviera was quite different from the rest of France. In fact, around 2,500-years-ago, people in northern France were living in huts made of mud, the citizens of the French Riviera were enjoying the sun and trading with the Greeks and the rest of the ancient world. The Greeks came to give the name to the town you know as Marseille, previously called Massalia, as well as Nice, which was named after the Greek goddess Nike. Around 50 years later, the Romans started to travel and settle on the French Riviera. The towns of Antibes and Aix-en-Provence were especially attractive for the Romans, as their roads which stretched from Italy to Spain crossed the towns. In 8 BC the Roman Emperor Augustus built a trophy monument at La Turbie, mostly known as the Trophy of the Alps, in which he built to mark the pacification of the region. The statue was built to mark the pacification of the region and to celebrate that the Roman emperor Augustus tamed the Ligurian tribes above Monte Carlo, which brought the entire French Riviera under Roman rule. Plenty of Roman towns, monuments, and amphitheaters were built on the French Riviera as a result of the Roman rulership, many of which still stand today. Some of them are the amphitheater and baths at Cimiez, located just above Nice, and the amphitheater and Roman walls at Fréjus. The Ligurians attacked Antibes in 154 BC, and when that happened, Antibes called on Rome for help and rescue. Following, a battle broke out near Biot. It was during the 2nd and 3rd centuries AD that the Roman Provence reached the height of its power and prosperity, and in the middle of the 3rd century, Germanic peoples began to invade the region, resulting in weakened Roman power. Eventually, the Roman Empire started to decline, and Roman armies started to retreat from the colonies they had built up along the French Riviera. When the Romans left, the French Riviera was brought back into the dark ages. All of the things that the Romans had built up were left to ruin. Following, Goths and Franks started to attack the French Riviera from the north, while the Saracens attacked from the sea. This is also the reason why many of the French villages, such as Eze, Les Baux, and Roquebrune are all built on rocky redoubts, which gives them a 360° panorama view, which allows them to stay alert of any dangers. The fall of the Roman empire and the Romans withdrawing from the French Riviera in the first half of the 5th century was followed by invasions of the French Riviera by the Visigoths, the Burgundians, and the Ostrogoths. The church was the only real protector of the French Riviera after the Romans had withdrawn, as there were anarchy and no rulership. But from the withdrawn Romans, a new dynasty emerged on the French Riviera: the Carolingians. One of their leaders by the name of Charles Martel successfully halted a Muslim invasion in 743. Christianity was brought to the French Riviera by Saint Nazaire and Saint Celse brought Christianity In the first century AD. And in the fifth century, the Abby of Lérins (on the Lérins islands just outside of Cannes) was founded by Saint Honorat, who came there to meditate. The Monk Saint Honorat has also given the name to one of the four islands, the islands on which he settled, which is now known as Saint Honorat. In the 4th century, the first cathedrals were built, and following, bishoprics were established. The oldest Christian building, or monument, which is still standing on the French Riviera, is the baptistery of Fréjus Cathedral which was built at the end of the 5th century. You can also find the Lerins monastery, which was begin built around 1073, which was also the first monastery in the region. The Lerins monastery is located on the Isles of Lerins, just outside of Cannes. Fortunately, peace was restored to a certain degree on the French Riviera, as a result of the establishment in 879, led by a new kingdom of Provence which was initially ruled by Bosonids dynasty, followed by the Catalans, and lastly by the Angevins. Today, the ruins of the initial Grimaldi castle can be found at Grimaud, near Saint-Tropez. You’ve probably heard about the Grimaldi family before. Because they’re the rulers of Monaco. It was in the 13th century that the Grimaldi family appeared as a political force. The members of the Grimaldi was able to gain power in Monaco, Antibes, and Nice, and following, they also built castles at Grimaud, Cagnes-sur-Mer, and Antibes. Albert II. The last castle, Albert II is the castle in which the current Prince of Monaco currently lives in, being a descendant of the Grimaldis. In the 18th century, the French Riviera entered a new era. The French Riviera became a fashionable ”heart resort” during the winter for the British upper class. In 1763, the first to describe the benefits of the French Riviera was the novelist Tobias Smollett, who visited Nice and discovered the beautiful scenery and lovable climate of the Riviera. Smollet brought attention to the pleasant weather on the French Riviera, especially as he compared it to the rainy and grimy weather back home in England. As a result, more of the British upper-class people were tempted to go to the Riviera. In fact, John Brown has become famous for prescribing hist patients so-called climatotherapy, where patients get a change in climate in order to cure diseases, such as tuberculosis. Henry Peter Brougham is a man that is known to have had a great effect on the tourism from the British to the French Riviera. In fact, in 1834, he traveled with sick sister to the south of France, with the plan of going to Italy. However, as a cholera epidemic in Italy broke out, he was forced to stay in Cannes – a place which he came to love and enjoy the beautiful scenery and weather. So much so that he bought land and built himself a villa where he began spending his winters. As a result, others soon followed his footsteps. Before the French Riviera become a loved place for tourists, with the British as the main tourists, the French Riviera was an area that was known to be a remote region, known mostly for fishing, olive grove, as well as its perfume production in Grasse. Later the British came up with the ”idea” that sea breezes were healthy. As a result, the French Riviera become an even more trendy place for British aristocrats to spend their winters. This also leads to lots of luxurious and magnificent buildings being built on the French Riviera, many of which still stand today. As you can expect the building of the railway along the French Riviera had a huge effect on the life and tourism there. 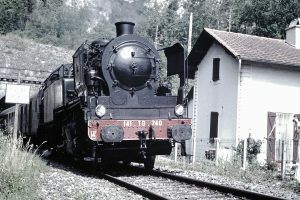 In 1864, the first railway of the Riviera was completed. This was six years after Nice became part of France, as a result of the Second Italian War of Independence. The railway made the French Riviera and Nice easily accessible (compared to earlier) for visitors and tourists from all over Europe. And indeed, the railway had a huge effect on the tourism on the Riviera. Because in 1865, the year after the railway was inaugurated, one hundred thousand visitors arrived to the French Riviera. And in 1874, the residents of Nice whom were foreign, reached 25,000, most of which were British. The famous Villa Ephrussi, located in Cap-Saint-Jean-Ferrat, was built in 1905–1912 by Beatrice de Rothschild, a member of the Rothschild family. Now, the Belle Epoque had started, and the French Riviera become a well-respected place in the south. it was in the mid-19th century that British and French entrepreneurs began to realize the tremendous potential that the French Riviera sat on when it came to tourism. A small problem was that gambling was illegal in France and Italy at that time, but in 1856, the Prince of Monaco, Charles III, began constructing a casino in Monaco. This casino was called a health spa to avoid criticism by the church. Unfortunately, though, the Casino was a failure. But in 1863 the prince signed an agreement with the French businessman François Blanc, an individual who was already running a successful casino in Germany. The deal said that he was going to build a resort together with a casino, and to attract people to Monaco, arranged steamships and carriages that would take visitors from Nice to Monaco. To make the resort into an amazing experience and a place worth being at, he also built hotels, gardens and the casino. Eventually, Prince Charles III renamed the place Monte Carlo after himself, after a suggestion of his mother, Princess Caroline. When the railway was developed so that it reached Monaco, the resort became easily accessible, which lead to skyrocketed numbers of visitors and inhabitants. In fact, in 1870, when the railway was built, the population of the principality of Monaco doubled. Due to the French Riviera starting to build a reputation of luxury and being a place for the wealthy, European royalty started having the French Riviera as a hideout and a travel destination. Just a few days after the railway had been built to Nice in 1864, Tsar Alexander II of Russia visited the city on his own private train. Alexander was soon followed by Napoleon III, and eventually also Leopold II, the King of the Belgians. Queen Victoria was a frequent visitor to the French Riviera. In 1882 she is known to have stayed in Menton, as well as have spent several weeks at the Grand Hotel at Grasse in 1891. 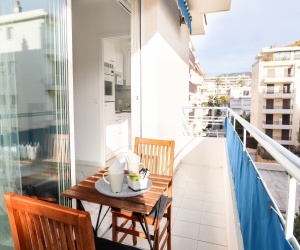 The next year, she stayed at the Hotel Cost-belle in Hyères. The following years, she stayed everywhere from Cimiez in the hills above Nice to the Grand Hôtel. Another royal visitor of the French Riviera during the Belle Epoque is Prince of Wales. In fact, the prince was a regular visitor to Cannes, first visiting in 1872. By the end of the 19th century, the French Riviera also started attracting painters who appreciated and got inspiration from the climate and scenery of the French Riviera. Some of them were Auguste Renoir, Henri Matisse, and Pablo Picasso. The country of France was harmed by the first world war, followed by the great depression. But the French Riviera managed surprisingly well. Due to it being insulated from the global economy as a result of its traditional industries which focused on wine production and farming, the French Riviera wasn’t struck too hard. After the first world war, the number of British and German tourists declined, and instead, Americans began arriving, who enjoyed a strong dollar. Following the American wave, famous writers, like Ernest Hemingway and F. Scott Fitzgerald also turned to the French Riviera. Soon, the French Riviera turned to a place for the summer season rather than the winter season. In the inter-war years the Train Bleu, which was a solely first-class sleeper train, transported passengers from Calais to the Riviera. 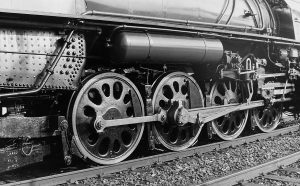 The train made its first debut in 1922 and carried several famous individuals, such as Winston Churchill, Somerset Maugham, and Edward VIII. The writer F. Scott Fitzgerald first visited the French Riviera in 1924, when he stayed at Hyères, in Cannes, as well as visiting Monte Carlo, finally staying at Saint-Raphaël – the place where he wrote the majority of The Great Gatsby. That the French Riviera became a summer place rather than a place for the winter has a lot to with the Americans, but the French fashion designer, Coco Chanel also had an impact on making the summers on the French Riviera high fashion, as she made sunbathing fashionable. When she visited the Riviera during the summer, she acquired a striking tan during the summer of 1923, and from then, tans then became the fashion in Paris, thereby attracting tons of tourists who wanted to sunbathe on the French Riviera. On June 14, 1940, the piece on the French Riviera ended. As an ocean liner full of American film stars were docking in Cannes for the inauguration of the Cannes film festival. Hitler’s armies arrogantly marched down the Champs-Elysées. Guerrilla fighters, known as the ”Pockets of resistance fighters” or ”le maquis” used gorilla tactics to fight the Nazis on the French Riviera, but the Nazi troops were large. But on June 6, 1944, the war took a turn, when the largest armada in history, which was a combination of American, British, and Canadian troops entered the shores of Normandy, in northern France. Later, on August 15, a southern wave of allied swept up on the beaches of the French Riviera, and on August 28, Marseille, an important harbor city was taken back, which eventually lead to a third of all Allied supplies eventually arriving through its port. On 15 August 1944, American parachute troops landed on the French Riviera, and a troop of 60,000 soldiers came to rescue the Riviera from the Germans, and indeed they did. In the rescue, Saint-Tropez was badly damaged as a result of German mines, but Colette organized an effort to assure the town was rebuilt in its original style, making the town look very similar to what it used to look, today. After the second world war, the French Riviera became a popular tourist destination, and it attracted lots of celebrities such as Elton John and Brigitte Bardot, people who also had homes on the Riviera. After the second world war, the film festival in Cannes was finally inaugurated in September 1946, after being interrupted by the Germans the last time. The inauguration marked the return of French cinema to world screens. The American film actress Grace Kelly married Prince Rainier of Monaco on 18 April 1956, something that drew a ton of attention to the French Riviera. Their marriage was watched by more than 30 million people. In the 196s, the Mayor of Nice by the name of Jacques Médecin wanted to reduce the dependence of the Riviera on ordinary tourism, and so, he built the Palais des Congrès at the Acropolis in Nice, as well as founded a Chagall Museum and a Matisse Museum at Cimiez. Moreover, Princess Diana and Dodi Fayed spent their last days together on his father’s yacht at the end of August 1997, shortly before they were killed in a traffic accident in the Alma Tunnel in Paris. Today, the French Riviera or the Côte d’Azur is home to 163 nationalities with 83,962 foreign residents. The largest city of the French Riviera is today Nice, which has a population of 347,060, measured in 2006. The airport Nice Côte d’Azur Airport located not he French Riviera is today, France’s third-busiest airport (after Paris-Charles de Gaulle Airport and Paris-Orly). In total, the French Riviera has a population of more than two million.